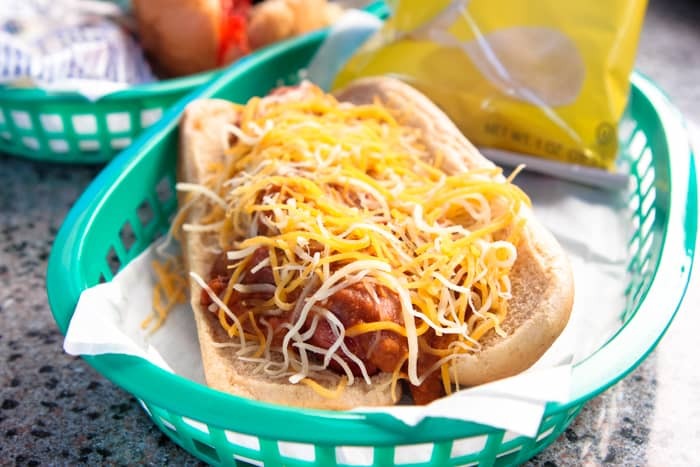 If you’re at Disney and on the prowl for Hot Dogs–Award Wieners is what you’re looking for. 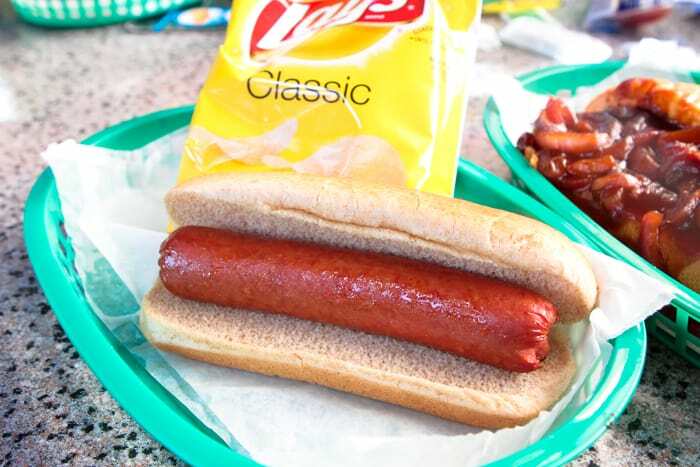 Here is Disney’s basic hot dog that I’ve seen my boys eat and have had bites here and there when they don’t finish theirs. Disney uses a chicken and beef mixture for their hot dogs. Also, you may be happy to know their buns are multi-grain; and if you need to stay away from gluten, just ask. Actually, anywhere Disney sells hot dogs or hamburgers, be assured they have a gluten free option for their buns. Perhaps, you want a little pizzaz to your dog. If so, one option is adding monterey jack and cheddar with some chili. This dog was Brady’s (8 yr old) favorite of the bunch. This grilled onion and barbecue sauced hot dog brings the spice. This was Picky Palate’s favorite of the group, and it was my second favorite. Although, it seemed to me that the mozzarella should’ve been melted, Mason (our 11 yr old) didn’t mind as this was his pick. 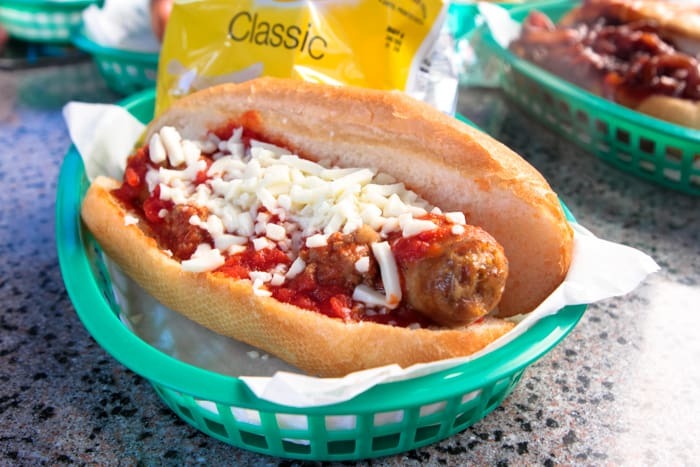 It has a mild Italian sausage smothered in pizza sauce and cheese. Yes, it’s true that I was most excited to try this mushroom “dog”. And, yes it’s true, I mostly eat mushrooms on pizza. Lately, however, I’ve been looking to expand the the times in which mushrooms are included on my plate. This portobello philly is did just the trick. It’s my choice when dining at Award Wieners. 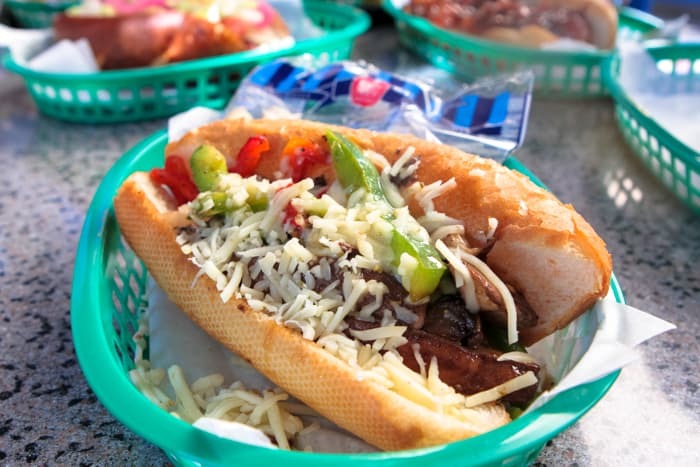 It’s actually a simple dog like dog–grilled portobello, unions, and bell peppers–with cheese. This seasonal dog had the making of success but we went away feeling that it was just OK. 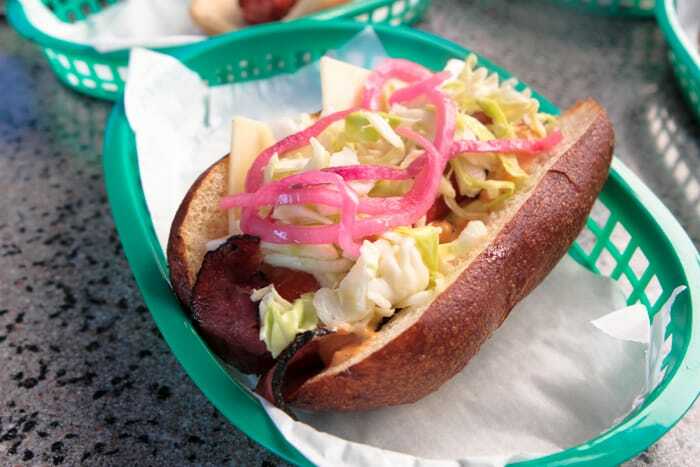 It has cabbage, pickled onion, and pastrami. Although it may not be offered when you’re at Award Wieners, look out for their seasonal dog offering. WHAT DIDN’T WORK: Would like to see more creative options, i.e. 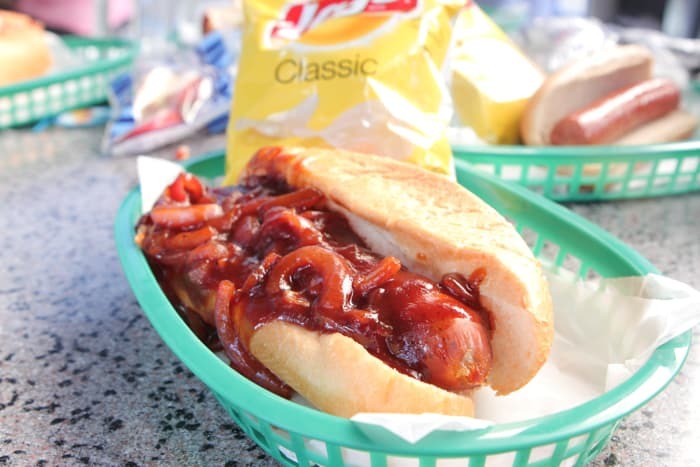 did you know Knott’s Berry Farm has Pink’s hot dog? We give Award Wieners 3 STARS for their effort in offering a selection of hot dogs. We do desire dogs that wow us though! This another restaurant that just hasn’t grabbed my attention enough. And no I did not know Knott’s sells Pink’s Hot Dogs. Pink’s has been on my road trip list. This place has never grabbed our attention either…until last night. My 2 yr old is a very picky eater and it was late, he needed to eat something, we were very close to this place and a hot dog is a pretty good bet for him to eat. So it was this or wait till In ‘N Out after leaving the park. I am so glad we decided to eat here. The menu has some different hot dogs now and so good! I can’t remember the exact name, but my husband ordered the Spicy something or other and I can’t stop thinking about it. (Could have to do with the fact that I am pregnant…) All I know is we will be trying it again when the kids aren’t starving and grumpy so we can actually sit down and enjoy it more.